The finite-time stochastic synchronization of time-delay neural networks with noise disturbance is investigated according to finite-time stability theory of stochastic differential equation. 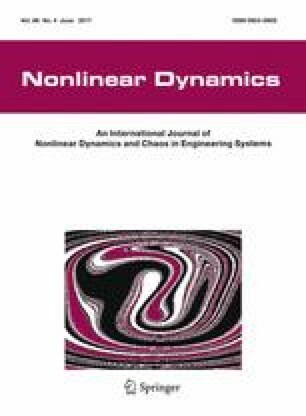 Via constructing suitable Lyapunov function and controllers, finite-time stochastic synchronization is realized and sufficient conditions are derived. By analyzing the synchronization progress, factors affecting the convergence speed are given and feasible suggestions are proposed to improve the convergence rate. Finally, numerical simulations are given to verify the theoretical results. The authors give many thanks to the anonymous reviewers for their valuable comments. This work is supported by National Natural Science Foundation of China (Grant No. 11472238), the Natural Science Foundation of Xinjiang Uygur Autonomous Region (Grant No. 2015211C267) and the Qing Lan Project of the Jiangsu Higher Education Institutions of China.